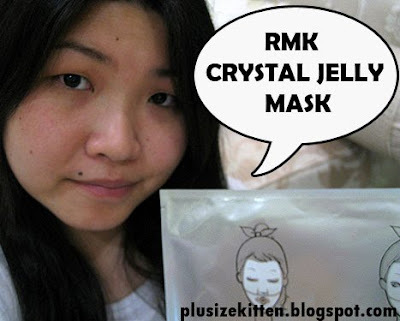 I tried the RMK's Crystal Jelly Mask some time ago but never got the time to blog about it. It's recommended by Lilian, counter manager of RMK, Isetan KLCC to me even way before she started working there. The RMK Crystal Jelly Mask comes in a packet of 6 sets of masks. Each set has 2 parts- top & bottom layer. Being priced at RM180 for 6 set of masks, it's definitely on the pricey side. After calculation each mask would cost you rm30 for 1 time usage. 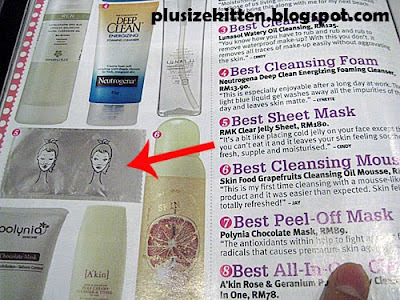 The packaging is silver with cartoon girls on it wearing the cyrstal jelly mask. Since its description is in japanese, the picture helps to describe what you should do with the mask haha. Why is it unique? 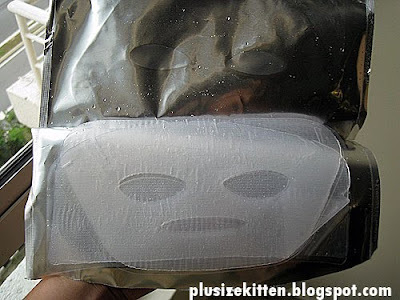 well for starters it's really a sheet mask with crystal (translucent) jelly layer on it! It's wet too so handle with care. The masks comes in 2 layers - top & bottom of your face. It's generously big! it was more than enough to cover my face! 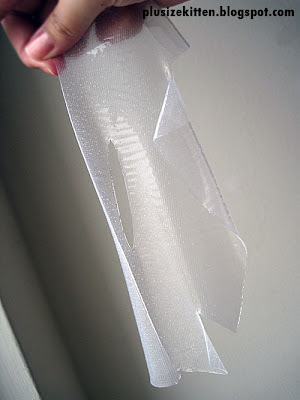 (tip: u can cut it & keep it in the fridge for spot soothing) the bottom half was so large I could cover my chin with it. I put on the masks for 10 mins & fell asleep. It was fat n juicy when I put it on, like a cold jelly you could almost eat (BUT DON'T PLS). After I woke up, my face has absorbed the moisture and the mask is no longer jelly-ish! Definitely a hydration booster, my face felt supple & hydrated. For the price, I'm just pinching myself until I save enough to buy it. i saw selling now in Guardian, My Beauty Diary Mask Rm59-90 for 11 mask or so.. one box, assorted types! it's sheet or crystal jelly? eh eh...i want try...u mind sharing ^__^ i dun mind taking 3pcs. at least still within budget.